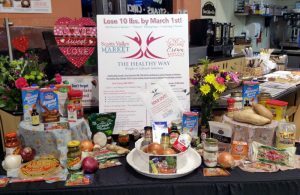 The Healthy Way is pleased to partner with Second Harvest Food Bank Santa Cruz County to help feed hope this holiday season. Food and funds from the Holiday Food & Fund Drive will help provide healthy food and nutrition education all year long to children, families, vets, and seniors in our community.Thank you for helping to improve the lives of our neighbors in need! Click here to make a donation!